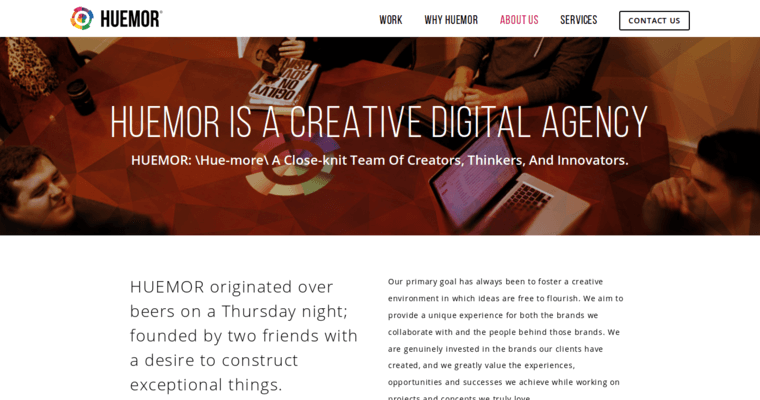 Huemor Designs is an innovative responsive web design firm based in Farmingdale, New York. The firm builds attractive responsive websites that can be viewed on any platform and any device. Founded by industry leading web designers, Huemor Designs boasts an impressive client list that includes Fortune 500 companies and well-known international corporations. The process Huemor Designs uses is simple yet unique. Prospective clients can choose to have the company build a project from the ground up or simply supplement on areas that need improvement. When a client wants to work with Huemor, the development and design teams sit in on meetings to try and get a grasp on the entire project before entering the planning and production phases.